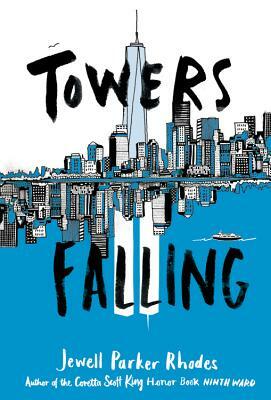 From award-winning author Jewell Parker Rhodes comes a powerful novel set fifteen years after the 9/11 attacks. When her fifth-grade teacher hints that a series of lessons about home and community will culminate with one big answer about two tall towers once visible outside their classroom window, Dèja can't help but feel confused. She sets off on a journey of discovery, with new friends Ben and Sabeen by her side. But just as she gets closer to answering big questions about who she is, what America means, and how communities can grow (and heal), she uncovers new questions, too. Like, why does Pop get so angry when she brings up anything about the towers? "History made personal--and what a person! Deja's voice is real and memorable, her compelling story one of hope unmarred by sentimentality." "This tender retelling of tragedy is a solid vessel to help young readers understand the gravity of 9/11 and how it touches all Americans, no matter where we come from. " "Rhodes approaches a complex, painful topic with insight and grace, providing context to an event distant to the book's audience."